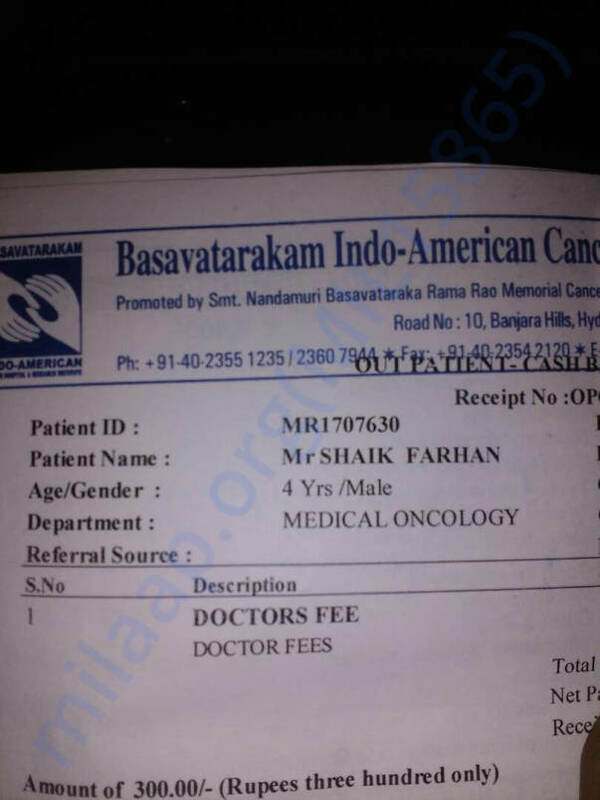 I am shaik karimulla requesting you all to help my son(shaik farhan age 4years) suffering from blood cancer and right now admitted in Basavatarakam indo American cancer hospital and doctor has estimated 800000rs for treatment as I am belongs to financial daily wages receiver so please help my son to cure his disease. Thanks a lot for your contributions, Currently chemo's are going on for my son. At this stage, there will be daycare treatment for 4 weeks. We have done the treatment of 2 weeks and is still going on. The fund withdrawn will be used for treatment purposes. Once again thanks for your generous contributions. He is doing better now. There are chemotherapy sessions happening and the second cycle is in progress. 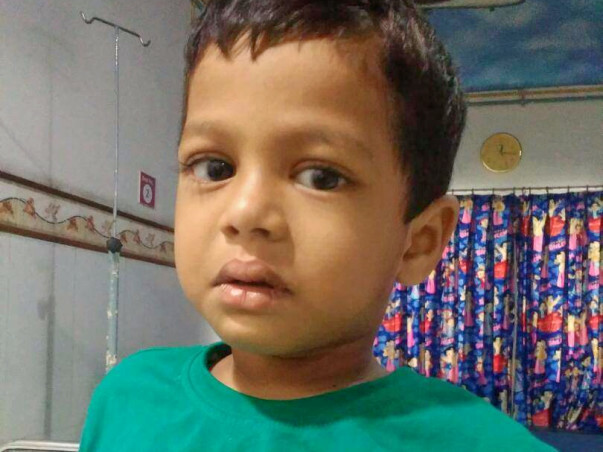 To help him overcome the weakness from the chemotherapy sessions weekly blood transfusions are taken up. The doctors are pretty optimistic about his response to the treatment and are hopeful that the chemotherapy will help him and a bone marrow transplant will not be required. Please do pray for his health. Thank you for all the love, blessings and support. We would request you to please share this with your friends and family.